The moderator of the GDPR network is Thor Ahrends, Legal Compliance Officer & DPO at Danmarks Nationalbank (Danish Central Bank) and Kersi Porbunderwala CEO, The EUGDPR Institute. At each meeting, we will discuss at least one topical and timely GDPR issue. The presentations will be in English, however, based on the final membership and the participants we can consider conducting it in Danish. Please see the attached link to the brochure where you can read more about the network, your benefits and the topics we expect to cover. However, the final content of each meeting is determined in collaboration with members and the subjects, needs and interests that are relevant to you. The network membership will also grant you access to some relevant GDPR presentations, a toolkit with policies templates, standards and other reference materials and newsletters to keep you updated about GDPR development in regulations, Danish privacy laws and different global privacy standards. The dates for the minimum four meetings to be held in 2019 will be announced that day. Annual membership is DKK 9.900,00 excl. VAT. By signing up before the 12th November 2018, your participation in the first meeting is included. If you only want to participate in the first meeting the cost is DKK 2.500,00 excl. VAT. Please click on the following link to download the program of the day, driving instructions etc. The list of participants will be provided a week before the event. After each network meeting, you will be able to find the presentation material on The EUGDPR institute, and a link to the material portal will be provided to you. A certificate of attendance with CPE points will also be provided. DTU Science Park, Technical University of Denmark. The price for the annual membership is DKK 9.900,00 excl. VAT. If you only want to participate in the first meeting the cost is DKK 2.500,00 excl. VAT. 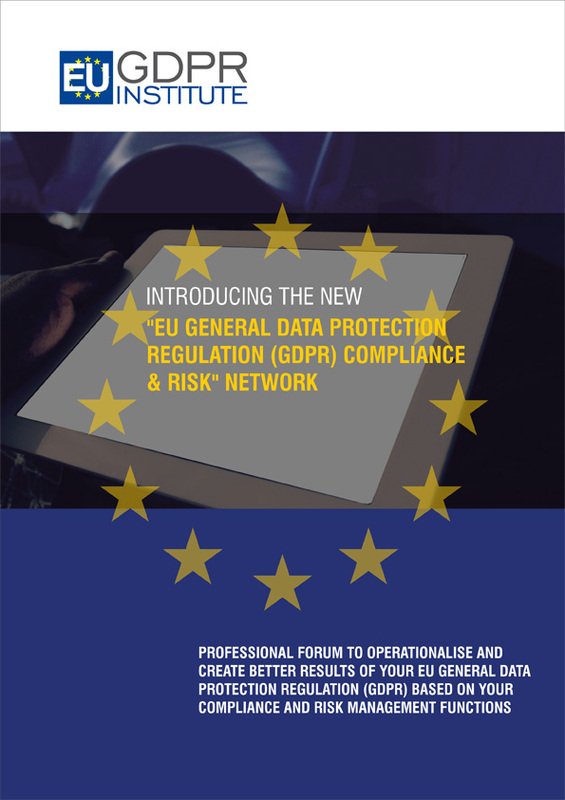 The network membership will grant you access to some relevant GDPR presentations on a wide range of topics, a GDPR toolkit with 30+ policies, templates, standards and other GDPR reference material and monthly newsletters to keep you regularly updated about GDPR development in regulations, Danish privacy laws and different global privacy standards. The membership will also give a 30% discount on our global seminars and workshops.